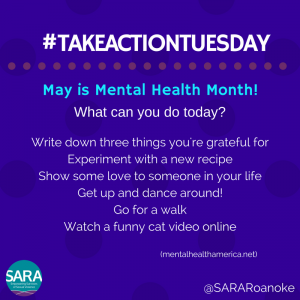 Mental Health America of Roanoke Valley is hosting many events throughout the month of May to celebrate Mental Health Month. 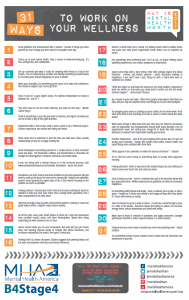 One of the best ways to advocate for mental health awareness is to demonstrate good mental health care yourself! This doesn’t mean you have to be perfect. It could be that you are open about your successes and struggles with mental health or that you promote self-care for your employees. Advocating for mental health can look a lot of different ways. 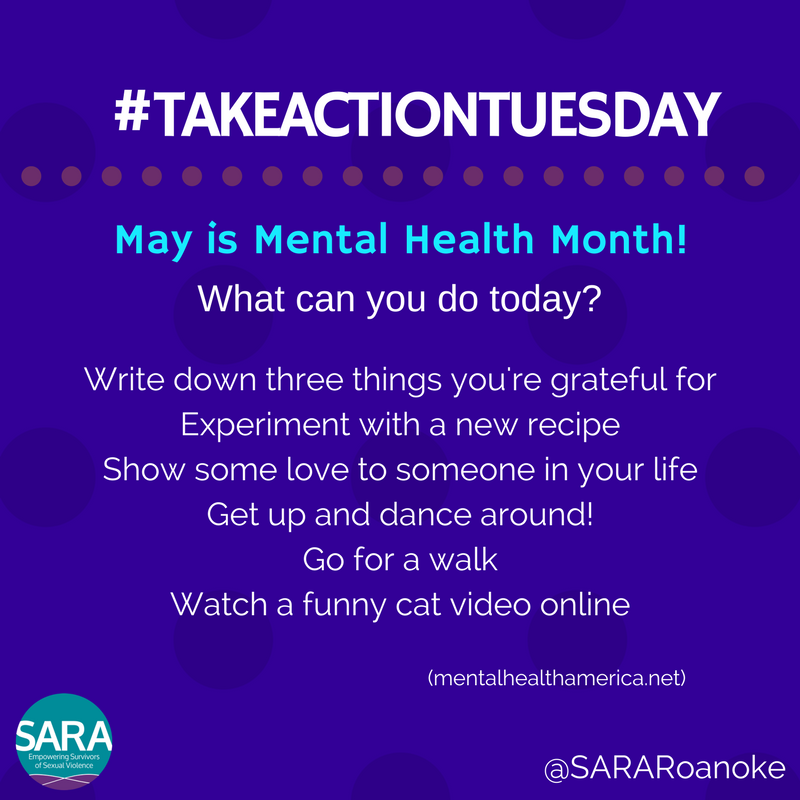 The ideas for our #TakeActionTuesday came from this poster supplied by Mental Health America. Check it out! You can also assist mental health efforts by supporting legislation that provides mental health resources in our area. Finding cost-effective mental health care providers, affording medication, and practicing self-care such as massages or yoga can truly be a luxury. As a voter, you can advocate for policies that help make appropriate mental health care more affordable. We are fortunate to provide free mental health care services here at SARA for survivors of sexual violence. We do not have any income or insurance qualifications. Simply call 540-345-7273 to set up an appointment. Learn more about our counseling services here. Check out Mental Health America Roanoke Valley for more information on Mental Health Month throughout May!